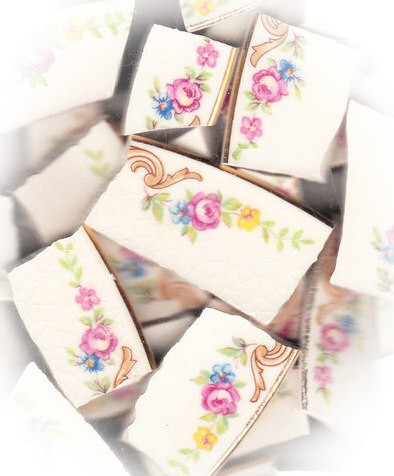 25 tiles from Edwin Knowles china plates. Fuchsia rose, blue flower, pink flower, green leaves, gold edge off-white china. All rim tiles. No discoloration, light overall crazing, lay flat.